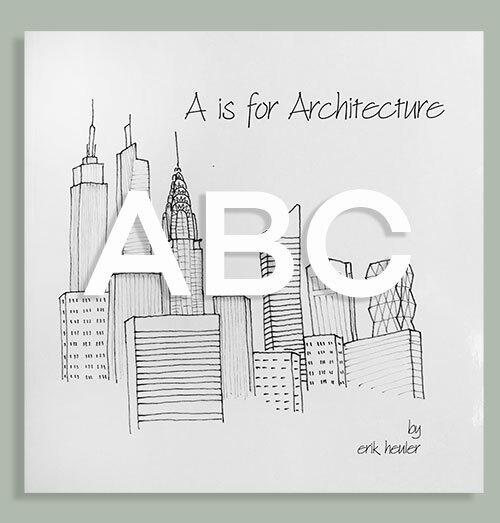 A is for Architecture is a book by Eric Heuler. 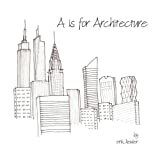 With a hand drawn image on each page and a single sentence describing the words from A to Z, the book is a nice introduction to the terms of architecture, from Dome, to Masonry, to Oculus. (An oculus, by the way, is a circular window or opening, often in the top of a dome. 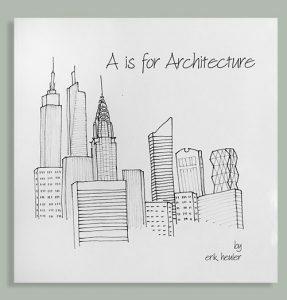 Eric Heuler, the author, is an architect who lives in New York. Happy May Birthday, Walter Gropius!